Apologies for the lack of postings folks but this one is immediate. 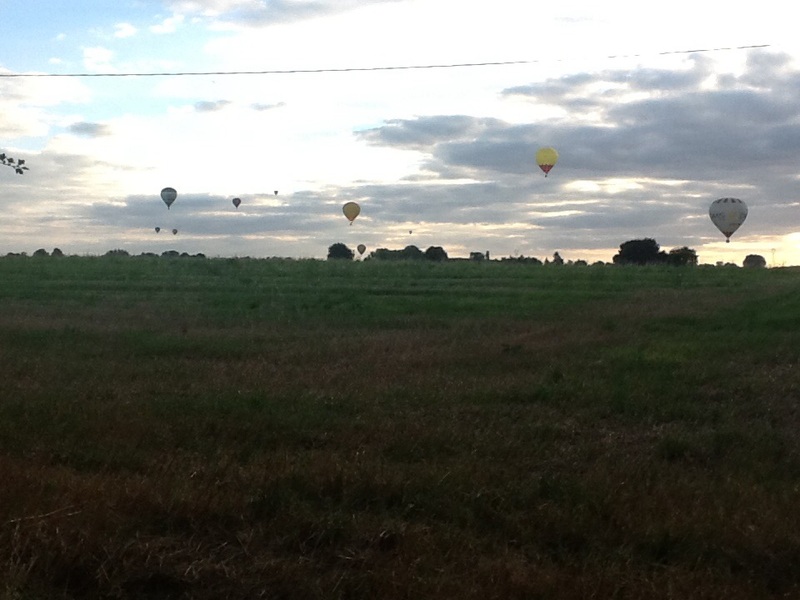 We’ve had a day out today and on the way back we’re watching a balloon race high in the sky against the sunset, it was a wonderful sight. 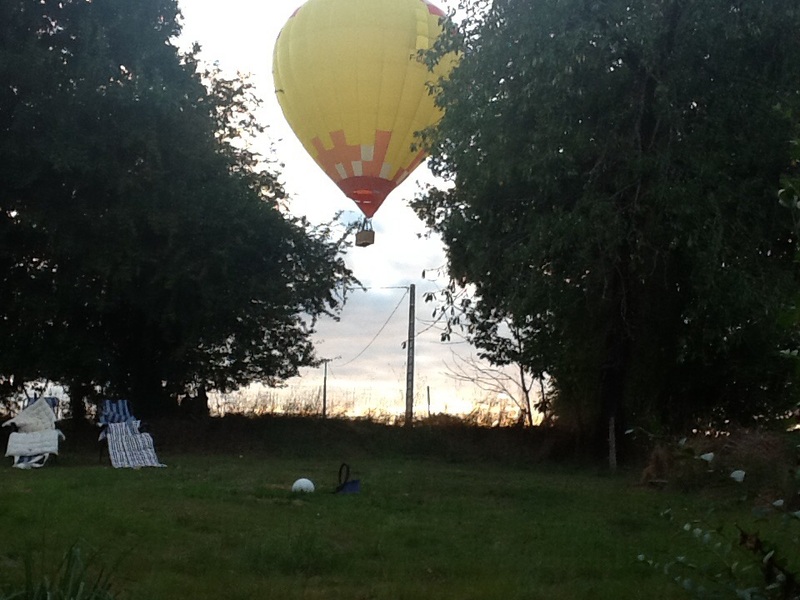 Little did we know that they would soon be over our garden, crashing into our trees, and landing in our neighbors garden. God, I love living here! 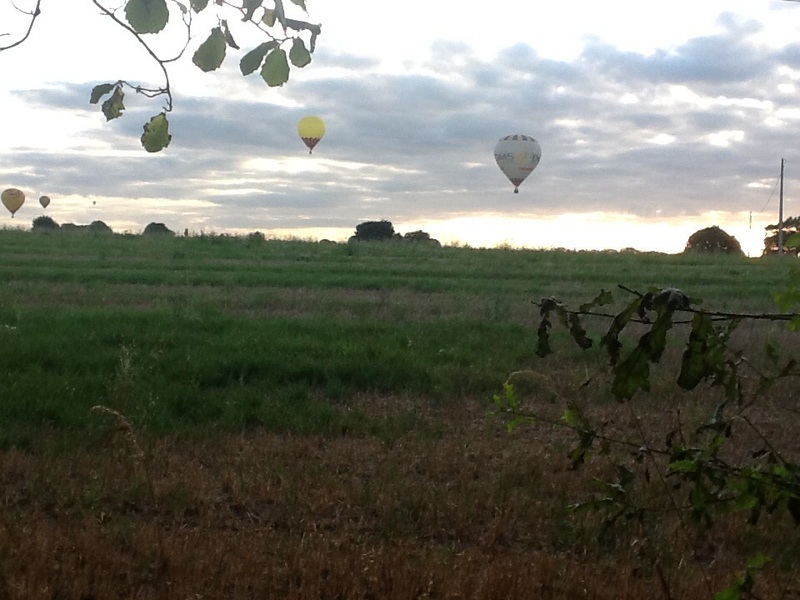 The neighbors children were in the field, and the balloonists were calling out to us all – surreal!! 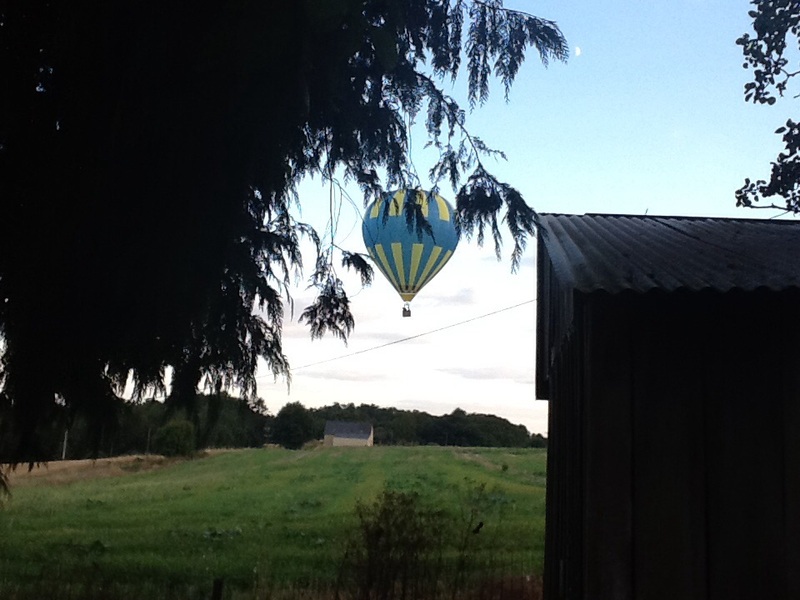 ” Bonsoir” they called, nonchalently, as they crashed into our trees. “Ceva” (okay)? 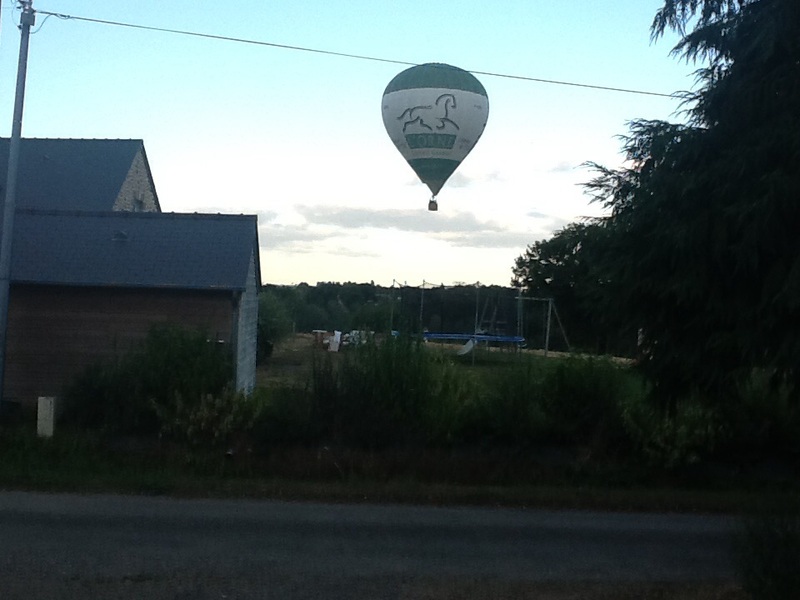 ” qui” I said, as if it was normal for a man to be crashing into the trees in my garden ” c’est bein, et vous?” I asked. As if it was all normal, when really it was surreal. 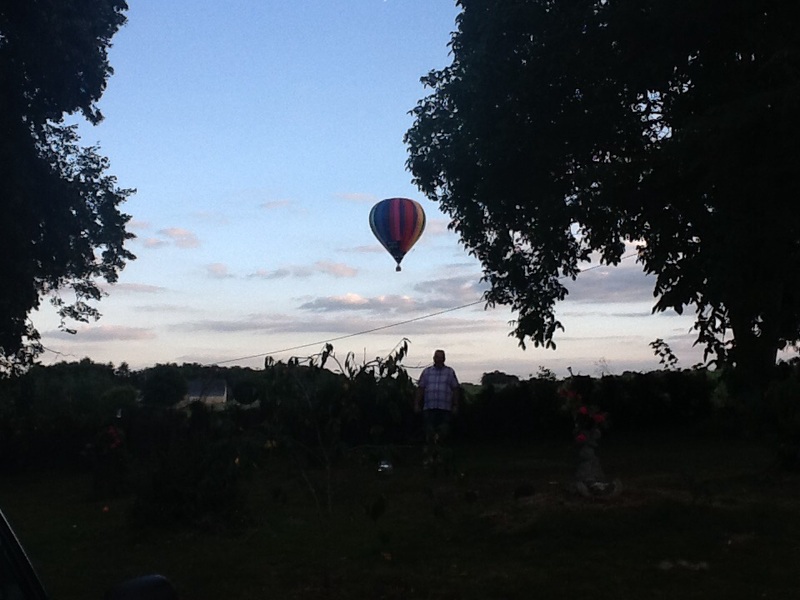 Friday night in my garden surrounded by ballons! Enjoy, I’ll try to download the videos!!! Crazy, beautiful, fantastic. And such savior-faire! 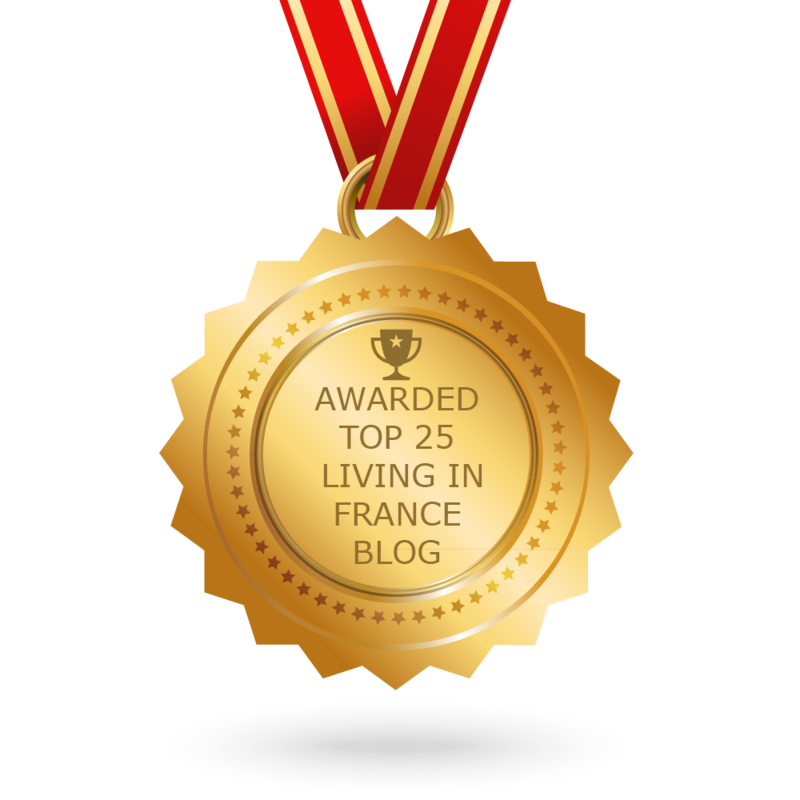 I meant savoir-faire, of course. Darn autocorrect has a savior complex!